My kids love Aladdin and now that it is out in the Diamond Edition I was really excited for them to get it. 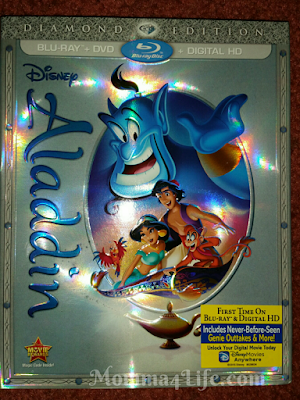 I remember watching Aladdin when I was a kid and I loved it. Every time the commercial came on to advertise for the movie the kid's will always sing a long to this. Little do they know they are getting this really soon. 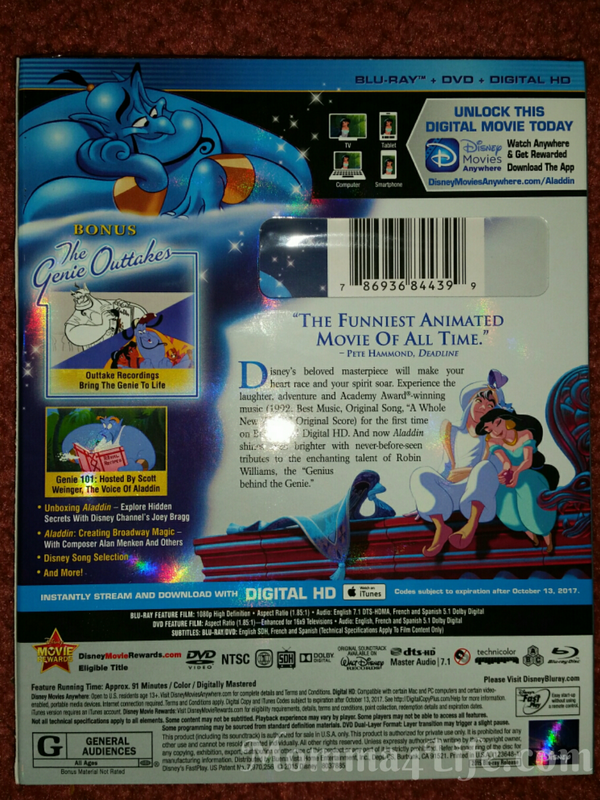 Ive seen this though and they have some never before seen genie outtakes and cute things that you would of never seen in the original. This would be a great addition to your Christmas List for your little one!! I mean come on who doesn't love Aladdin?? And now on Bluray too.